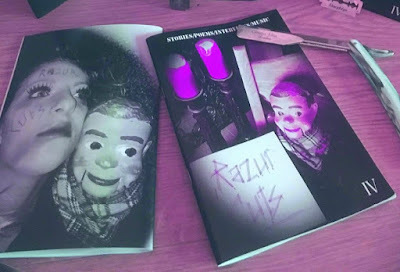 I don't normally like to review zines that I appear in (I have a poem in this one), but this particular little zine is worthy of special praise. 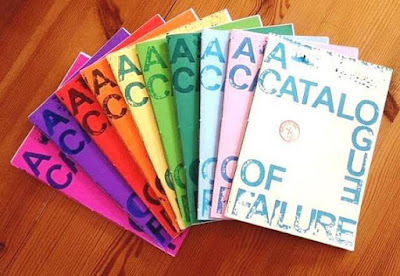 A delightful collection of literary material on the theme of failure, put together by author Alice Furse (Everybody Knows This Is Nowhere, Burning Eye Books, 2014). In her own words, from the introduction, "There is no Hallmark card that reads 'Sorry you didn't make the grade this time mate', there is no FAIL button on Instagram, there are no speeches for relationships that didn't work out". This collection is designed for the reader to take those feelings of failure, of messing up and being messed up, and help them work out how to unpackage those feelings and use them in a positive way. It is an inspiring read, I especially enjoyed strong pieces by Harry Gallon and Laura Winnick, but the closing lines by Louise Cox are perhaps most poignant, "If we didn't fail we wouldn't have cause to celebrate the successes, and the success can simply be not being crushed by our failure". Get a copy right here. 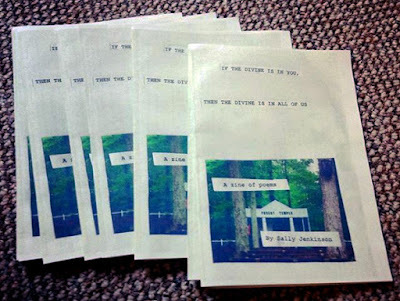 This poetry zine by Sally Jenkinson is a real beauty! I saw Sally perform a headline set at a poetry slam last year and fell in love with her poetry there and then. I was lucky enough that she agreed to trade a copy of PAPER AND INK for a copy of her book Boys (Burning Eye Books, 2016) and I was delighted when I saw that she was making her own zine. This contains a set of poems that were mainly written when Sally was on a trip to the USA and they're full of wonderful insights and intimate intricacies that make it a joy to read. Sally is fast becoming one of my favourite poets and I can't wait to read her next zine (if there should be another). Visit her website right here for details of how to purchase a copy.